Perennial Georgia powerhouse Norcross returns after advancing all the way to the GHSA Class 7A finale against Meadowcreek. They lost in the championship and will be returning with a vengeance. Head coach Jesse McMillan is one of the best in the business, as his returning senior point guard Kyle Sturdivant. The Blue Devils are going to be a tough out, but they didn’t take it easy on themselves with their schedule. Norcross will match up against Wheeler (GA), West Charlotte (NC), Montverde Academy (FL), DeMatha (MD), Roselle Catholic (NJ) and defending state champion Meadowcreek. Sturdivant is the floor general for McMillan, and there aren’t many playmakers more capable than the 6-foot-2 senior. Sturdivant, verbally committed to USC, is equally capable of scoring and distributing, and he’s battle-tested. He’s been an important member of the Blue Devils’ roster for the past two seasons, and also has two seasons of experience leading Nike Team Florida of the NIKE EYBL. The standout guard shares the ‘star’ duties with returning junior Brandon Boston Jr. A 6-foot-6 offensive dynamo, Boston is ranked 16th by ESPN in the 2020 class rankings, mainly thanks to his standout play for the AOT Running Rebels, also of the EYBL. Boston had an eye-opening Peach Jam for AOT, averaging 21.6 points, 8.0 rebounds and 2.0 steals in five games. Boston is a smooth operator offensively, and if he can continue to be active on the boards like he was at Peach Jam, he adds a whole new element to his already stacked set of skills. Sturdivant and Boston are one of the best guard duos on the country, and both are equally important to Norcross’ success in 2018-19. The Norcross supporting cast is one of the best in the south. The frontcourt is headlined by incoming transfer Daniel Ramsey, a 6-foot-8 senior committed to Xavier. Ramsey was a rock-solid inside presence for Team Thad this spring and summer in the Under Armour Association, and he’ll be responsible for efficient rebounding and defense. 6-foot-9 senior big man Issa Muhammad will pair nicely alongside Ramsey. Muhammad is a terrific interior defender and should be an effective rim-runner in transition. Underclassman guards Kevon Eskridge (junior) and Jaden Harris (sophomore) will both see big minutes for McMillan, as will 6-foot-4 junior guard Caleb Murphy. There’s a lot to like about Norcross’ chances in 2018-19. As mentioned before, their schedule is a murderer’s row of contenders, so they’ll have a terrific chance at racking up signature victories. 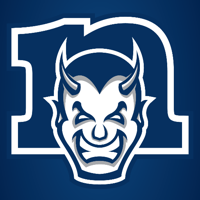 The goal is always a 7A state championship for the Blue Devils, but a trip to GEICO Nationals isn’t out of question if they can get by some of their big-name opponents. Sturdivant and Boston will put up some impressive statistics, and the wins will definitely follow.